So, I never realized just how much I rely on spices … specifically pepper-derived spices and seed-derived spices … to season my life. Now that I am following AIP, those are all out. If I think about it too much, I get a bit sad … No cumin. No paprika. No coriander. No fennel seed. No nutmeg. 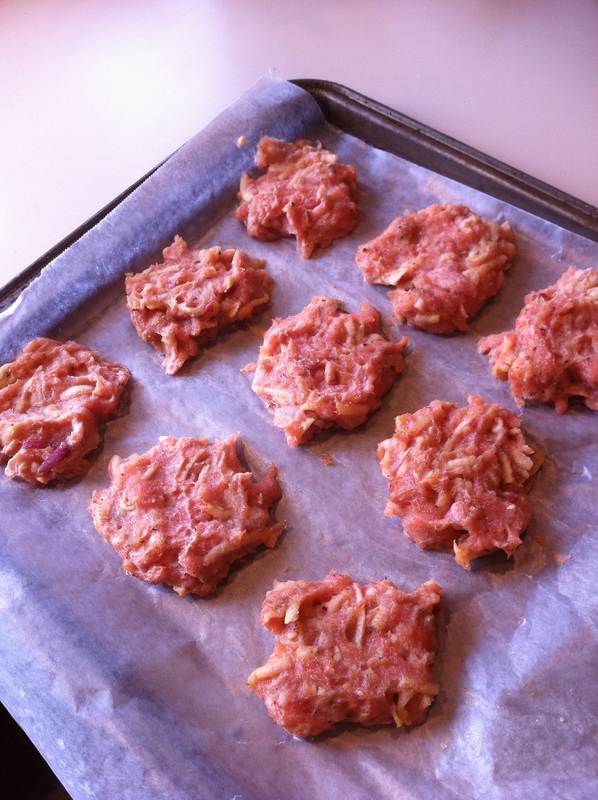 (For a great primer on what spices are AIP legal, see this post at The Paleo Mom.) It really makes “ethnic” cooking a bit challenging! I love Mexican food. When I stopped eating gluten and dairy, it was challenging because burritos had been my favorite. But I discovered fajitas (ordered without the tortillas) and large taco salads. It was mildly painful to give up corn (I loved tostadas and tortilla chips). But no nightshades and no nightshade spices makes it nearly impossible. No salsa. No traditional guacamole. No salsa verde. No chili powder. No cumin. Sniffle, sniffle, sob. We have a favorite (easy) family dinner that we call “Make Your Own Mexican”. Basically I make either “taco meat” with ground turkey (seasoned with chili powder, cumin, garlic, onion, and tomato sauce) or carnitas or fajitas (chicken breasts or thighs rubbed with a mix of chili powder, cumin, chipotle pepper, garlic, onion and then grilled), and cut up a bunch of veggies (peppers, scallions, tomatoes, avocado, cucumbers, carrots, lettuce, etc.). I generally have mine as a large salad tossed with a homemade ranch dressing. My family generally has theirs in flour tortillas topped with cheese. So now with me following the AIP, it seemed that one of my easy-peasy family pleasing meals was out the window. Unless I wanted to cook two separate meals. Not. But today I had a craving for Mexican … and so I got out my trusty Flavor Bible and lo and behold under “Mexican Cuisine” it lists several AIP-friendly ingredients. Lime juice. Cilantro. Garlic. So, I had an idea. 1. Place thighs in crockpot, add water to cover, garlic, and salt. Cook on high 4 hours. Remove from crockpot and put in a bowl. Reserve 1/4 cup of broth. Using two forks, gently pull apart, shredding the chicken. 2. In a heavy pan (I use cast iron), heat coconut oil. Add garlic and stir until just starting to brown. Add the shredded chicken and reserved 1/4 cup broth. Cook, stirring frequently until broth is mostly absorbed. 3. Add lime juice. Continue to stir, as the juice evaporates. 4. Add chopped cilantro. Continue to stir, allowing bits to brown. Sprinkle 1/2 tsp sea salt or Himalayan salt over chicken. Serve with chopped cucumber, scallions, maybe some carmelized onions, lettuce, shredded carrots, diced avocado. Whatever floats your boat! This was a big hit with my family … and nobody commented on the lack of pepper or seed based spices! My girls even asked for salad-versions in their lunch boxes for tomorrow! 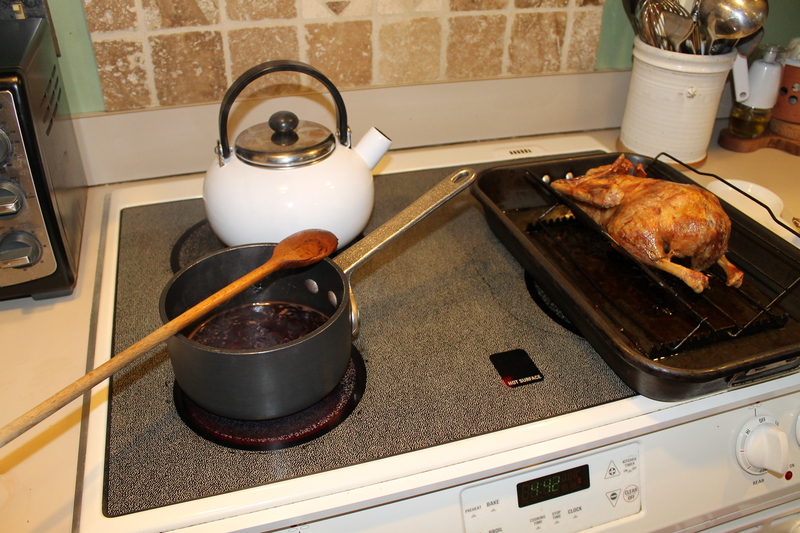 **Sorry for the lack of photos … I’ve been fighting a cold and in my fog, neglected to take pictures as I was cooking. I will update with photos the next time I make these, which I can assure you will be soon! 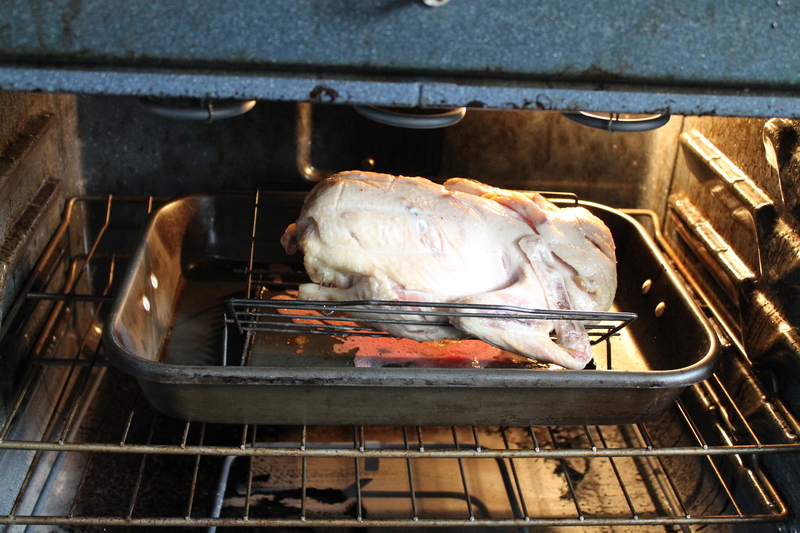 Now, I roast chickens almost weekly, and I have cooked many a turkey. I’ve even done Cornish Game Hens. But I’ve never even eaten duck! I developed a severe beef allergy in my late teens, then spent many years through my twenties as a vegetarian and vegan. When I returned to meat, it was in the early 90s, and therefore deep in the anti-fat movement. I would pretty much only eat boneless, skinless chicken breast for a long time. Now that I know the health benefit of eating meat on the bone and of eating animal fats, I now prefer fattier cuts of meat and poultry on the bone with skin! 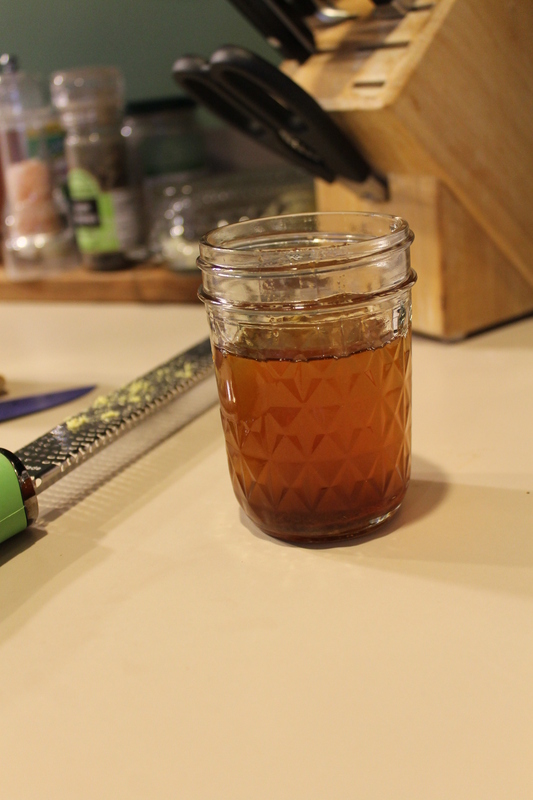 But I’ve had this bottle of Pomegranate Molasses that I made at Christmastime for our salmon … and I wanted to use it. 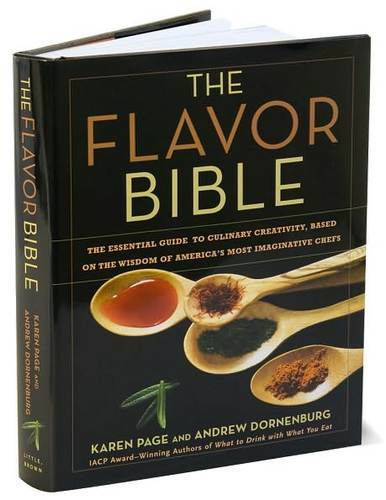 So I got out my trusty Flavor Bible. I looked up Pomegranate Molasses and chose some complementary flavors. Mix ingredients together in a saucepan and bring to a boil. Reduce until the glaze coats the back of a spoon. Substitute this glaze for the glaze in the Hungry Mouse’s recipe, and finish cooking as specified in her recipe. I served this with a side of mashed cauliflower, roasted beets, and roasted Brussels sprouts (in duck fat of course! ).